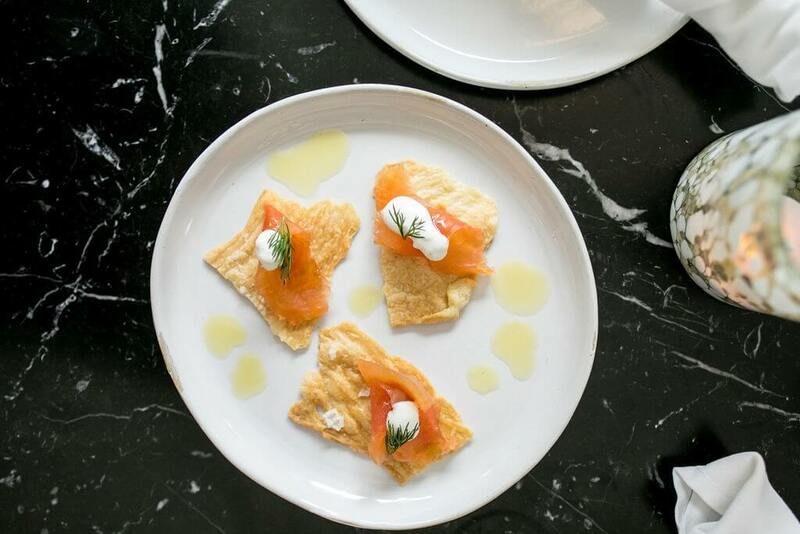 Looking for something good to eat in San Francisco while remaining affordable? 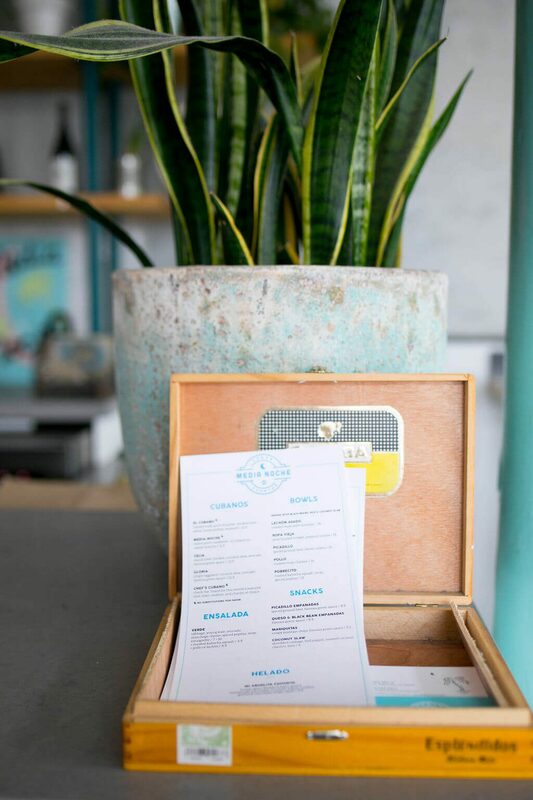 We have scoped out some options for you mostly in the Mission area and also in Union Square. This is a sponsored post with Ayala Restaurant and Limon Rotisserie. As always, my reviews remain honest, and all opinions are my own. All photos and video by Rachel Radcliffe of Rachel Radcliffe Photography. Rachel is very methodical about her approach to photography. 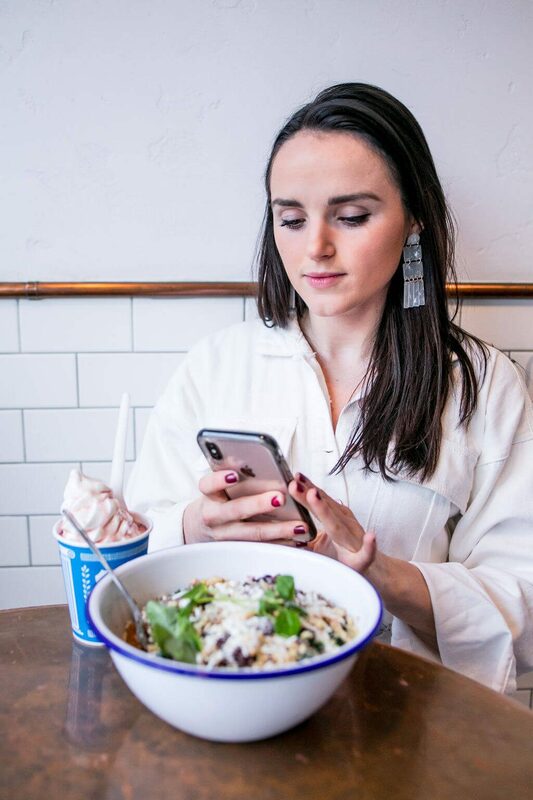 With the goal of having each image tell a story, she’ll talk to you prior to your shoot and will work with you to create a plan to achieve your objective! Not only is she a great photographer, but she also does videos for fun! Follow her on Instagram @rachelradcliffephotography or go to her website. 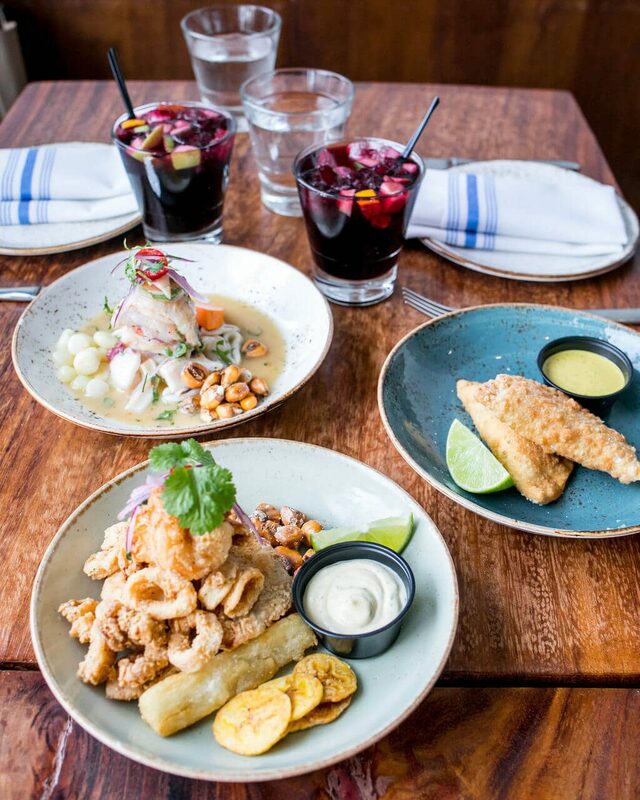 Media Noche is a fast-casual Cuban restaurant. 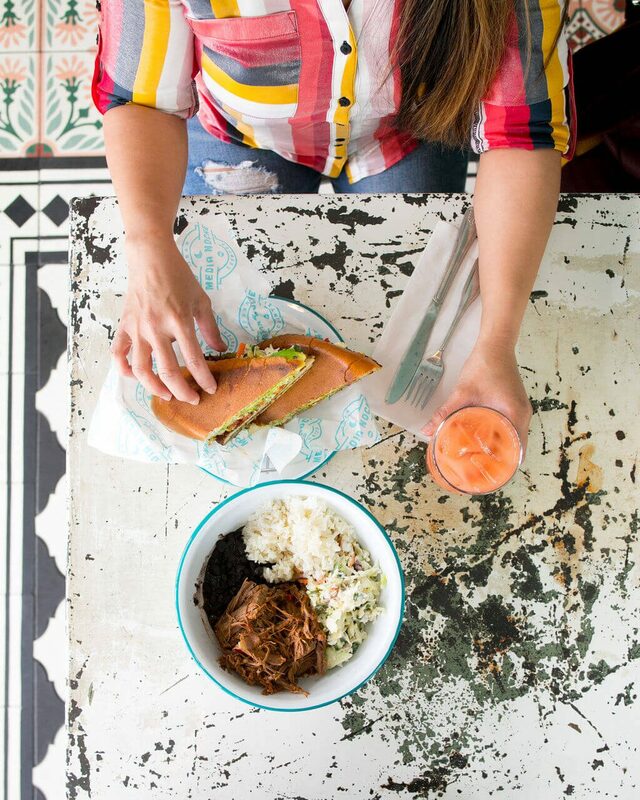 Try the hearty and succulent Ropa Vieja (my go to when eating Cuban food). It’s a slow-braised beef brisket stew simmered in tomato sauce with bell peppers and onions. 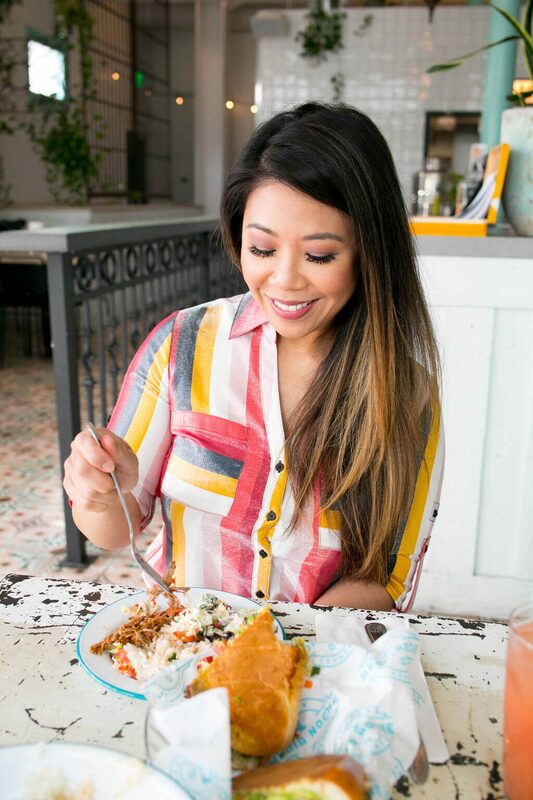 It’s served with black beans and rice and comes with coconut slaw, where the combination of toasted coconut, cilantro, and lime makes this “not your average coleslaw”. Not passing on my love for fried chicken, we also ordered the Celia, a fried chicken sandwich served on bread with their coconut slaw, avocado, and famous green sauce. 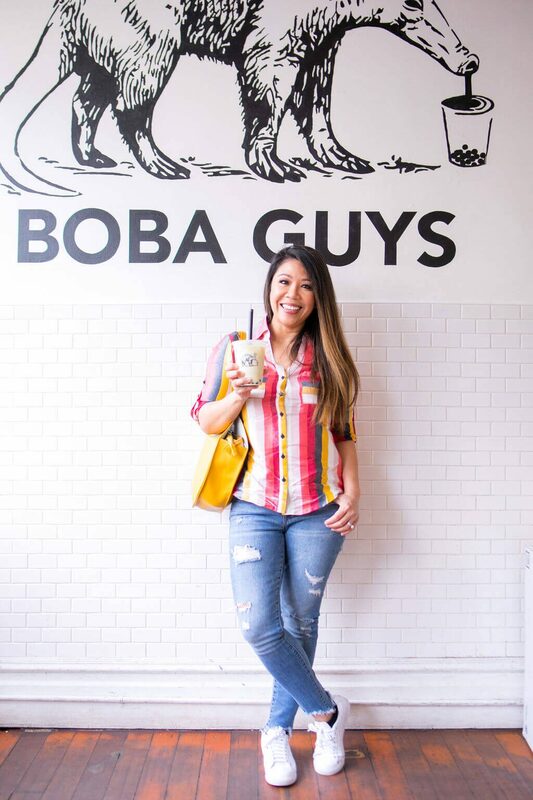 The founders of Boba Guys, Andrew and Bin, just “wanted to change the way people thought about boba and tea”. Wait…what’s a boba tea, you ask? 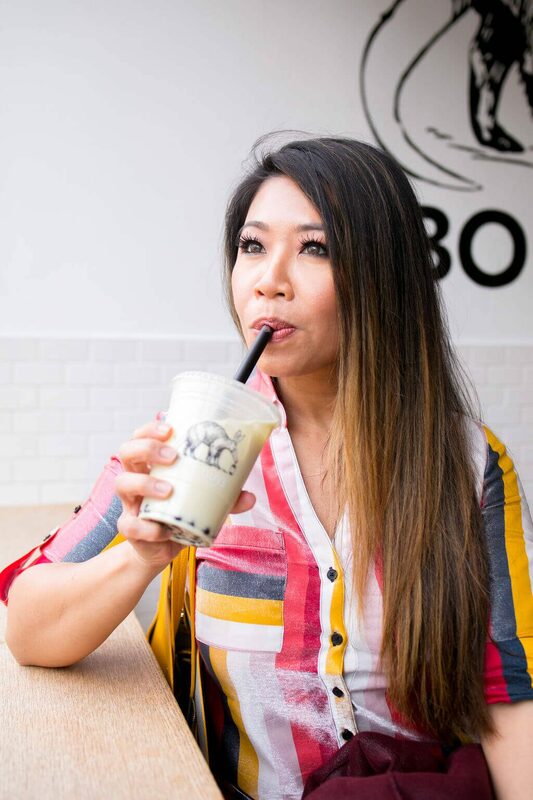 Boba tea (also referred to as pearl tea or bubble tea) is a Taiwanese tea-based drink where you can mix in any variety of tea, milk types and flavors, and toppings. OK, but what exactly is “boba”? It’s tapioca which is made from cassava starch and brown sugar. It’s chewy in consistency (similar to gummy bears but a little bit softer) and doesn’t have much flavor to them. Whether you choose to have this in your drink or not, it doesn’t affect the taste of your boba tea (it’s there for the “chew” factor). At Boba Guys, you may customize your drink. It all starts with the tea – green, black, chai, Oolong, Grey, and more! Pick from different types of milk like organic, oat, or almond. You control how sweet you want it. If you want toppings, choose from boba (of course! ), grass jelly (made of gelatin and honey), aloe jelly (made with 100% all-natural aloe), chia seeds, or egg pudding. Lastly, do you want it iced or hot? I typically order an iced Mango milk tea with a little bit of boba (yum!). 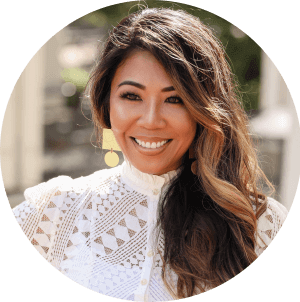 If this is WAY too much information for a newbie Boba drinker, you can always default to the Specialty menu where tea drinks recipes have already been tested out and are a crowd favorite! 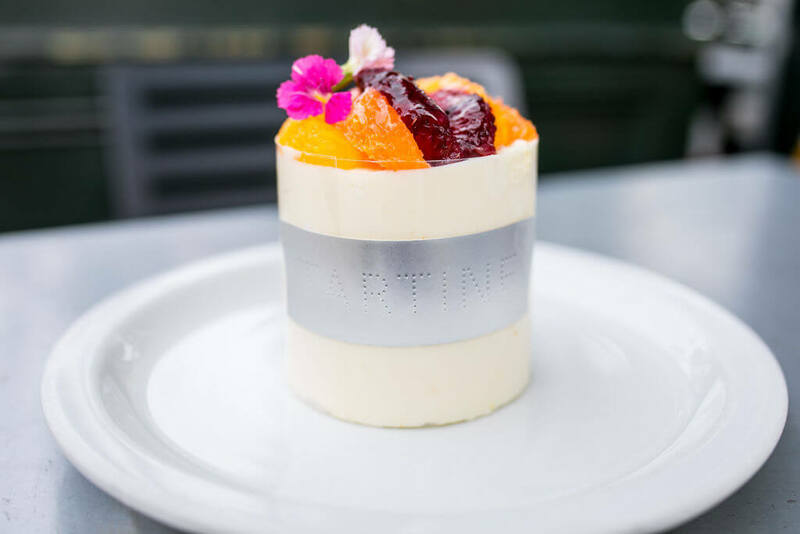 Tartine has been around since 2002 and serves incredible pastries, moist cakes, tarts, and even lunch items such as salads and sandwiches! 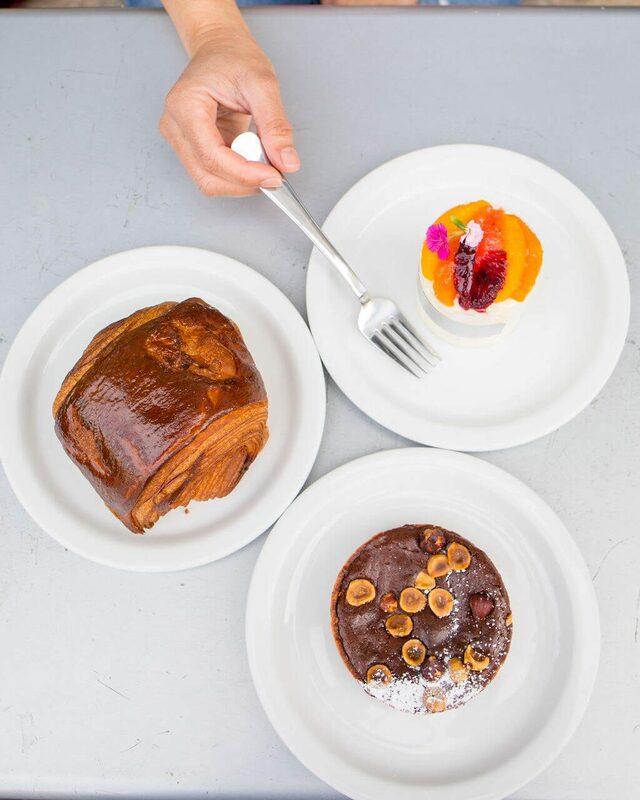 Start your day off with a delectable bite of their flaky chocolate croissants and tasty morning buns. Sweets are not your thing? Then be one of the first to arrive at 3:30 pm, where fresh bread is taken right out of the ovens! Better yet, relax and catch up with friends at this café and sit inside or outside while sipping a smooth and rich cappuccino, herbal tea, or freshly squeezed juice. Be forewarned; this is a trendy spot (a testimony to how good they are) which attracts a long line especially on weekends. To give you hope, people have said the line moves fairly fast. I can assure you – it’s worth the wait! Looking for a place to “unwine” (sorry, I couldn’t resist!)? 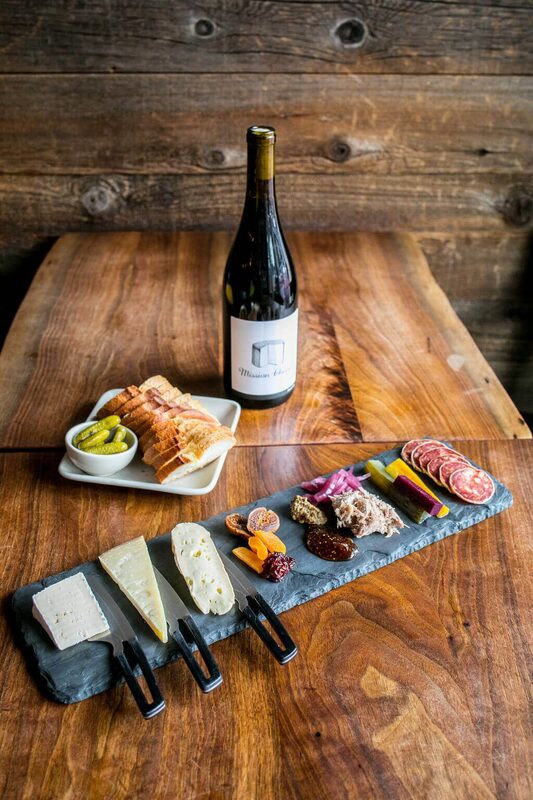 Look no further than Mission Cheese, where they serve a wide array of American artisan cheeses, wine, and beer. 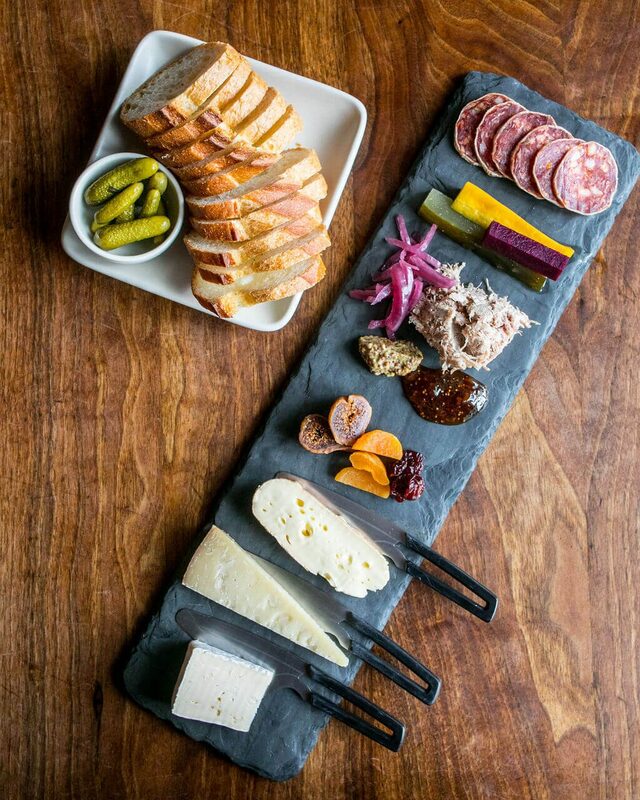 If you’re unsure of which cheese to order, don’t worry. The knowledgeable cheesemonger will ask you what you like/dislike and from there can put together a sample platter for you to eat. We enjoyed the charcuterie platter which came with three kinds of cheese and meats along with a side of Acme baguette, cornichon, and dried fruit. We had the Green Hill camembert which is buttery in flavor and silky in texture (from Sweet Grass Dairy in Thomasville, GA), Roth Private Reserve which is a light and crumbly Alpine cheese (from Roth Kase in Monroe, WI), and Oma Washed Rind soft cheese which has a delicate balance between pungent and sweet flavors (from Von Trapp Farmstead and The Cellars in Waitsville, VT). 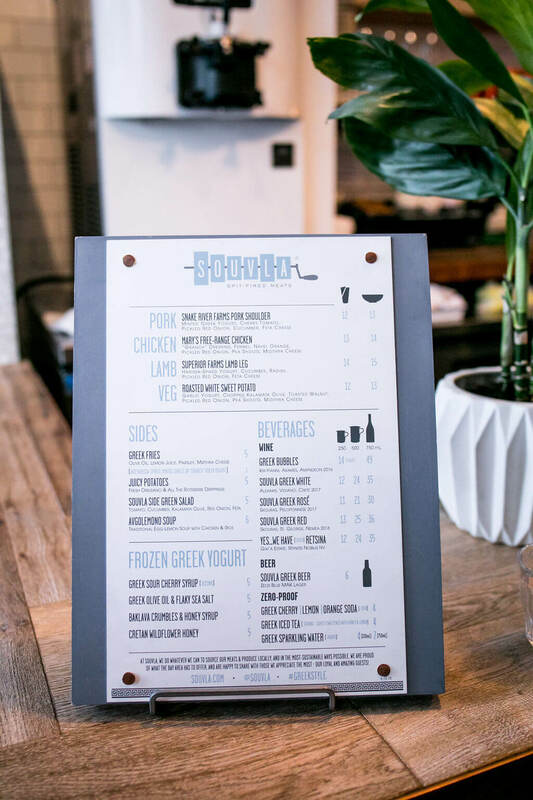 If you’re opting for a meal, they offer dishes such as grilled cheese sandwich, Mac and Cheese, Burrata Plate (burrata, baguette, and side salad), and Raclette (roasted potatoes with melted cheese). A delightful place to enjoy your heart’s desire when it comes to anything cheesy! 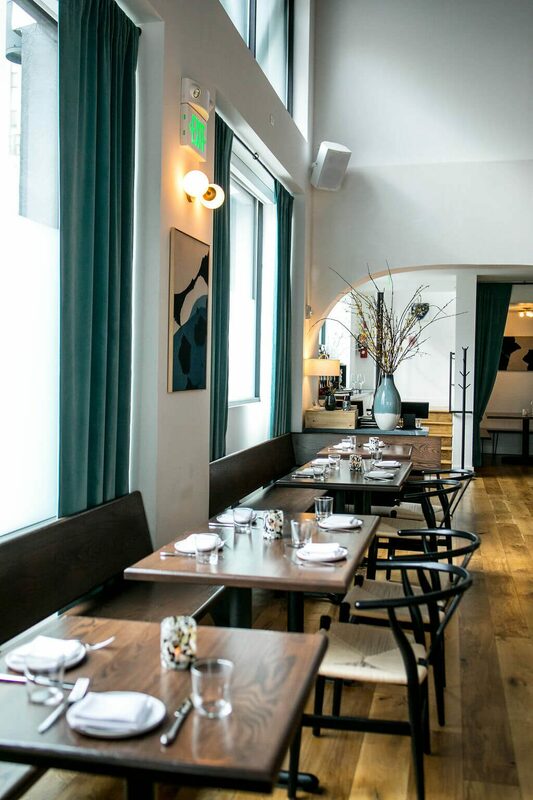 Ayala is a beautiful, contemporary restaurant located in Union Square, next door to Hotel G. They specialize in seafood and source their ingredients from local farms and their bottles from coastal vineyards (they mainly support independent organic and biodynamic producers. Working with smaller producers allows you to expand your palette by tasting something unique and one-of-a-kind while being able to enjoy a wide variety of styles). 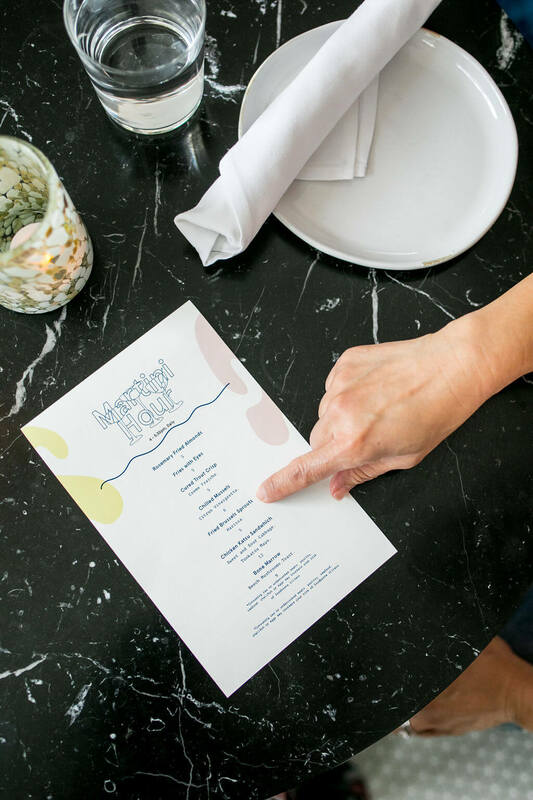 We arrived during their Martini hour (from 4-5:30 p.m.), where they serve small plates and pairings. The ambiance is very warm and inviting, perfect for relaxation and socializing. The service is impeccable, friendly, and professional. 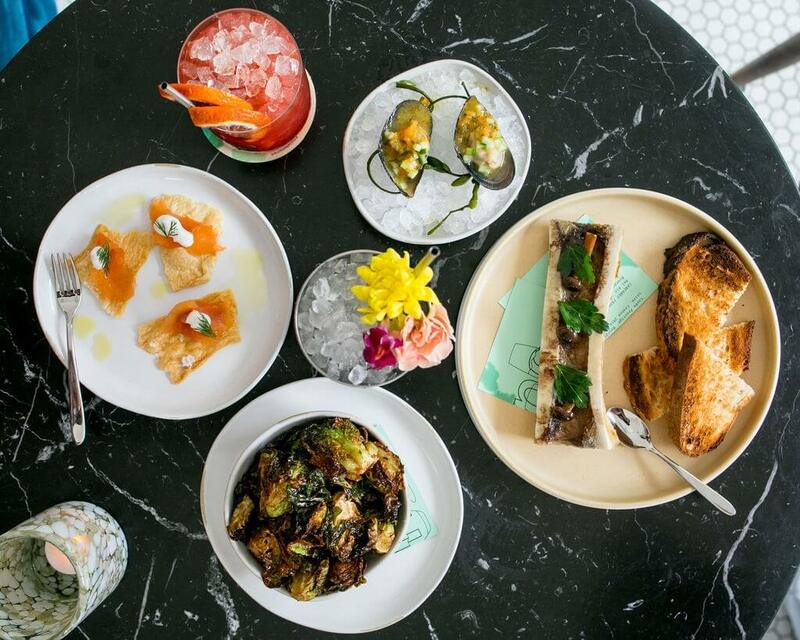 We enjoyed four appetizers: Bone Marrow, Chilled Mussels, Fried Brussel Sprouts, and Cured Trout Crisp. 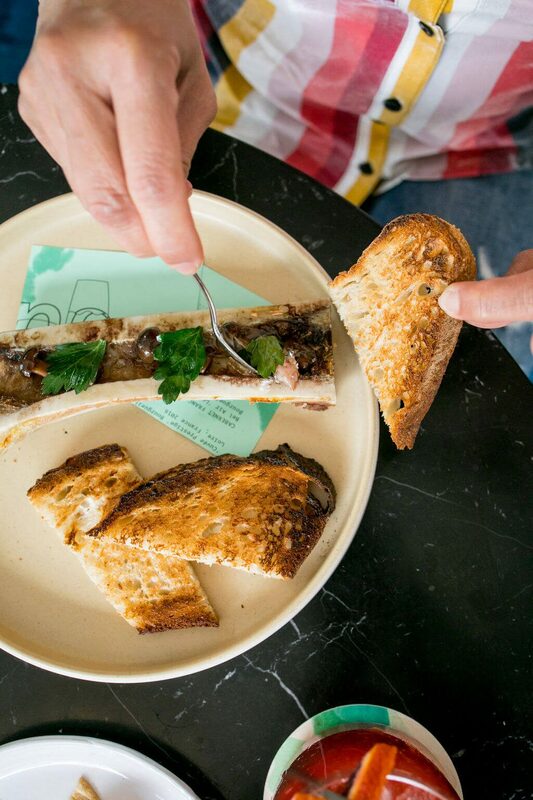 The bone marrow had a mild vinegar taste, the chilled mussels tasted fresh and amazing, Brussel sprouts were crispy and fried golden brown to perfection, and the Cured Trout Crisp’s Crème Fraiche with dill balances the smokiness of the trout. The cocktails were creative and lovely. If you love citrus drinks, get the Arancia Rossa (Blood Orange, Tequila, Arancia Gin, Campari, Amaro, Lime, Bitters)! For an herby twist, get the Ayala Julep (Mint, Massican Vermouth, Meletti, Verjus, Tarragon). 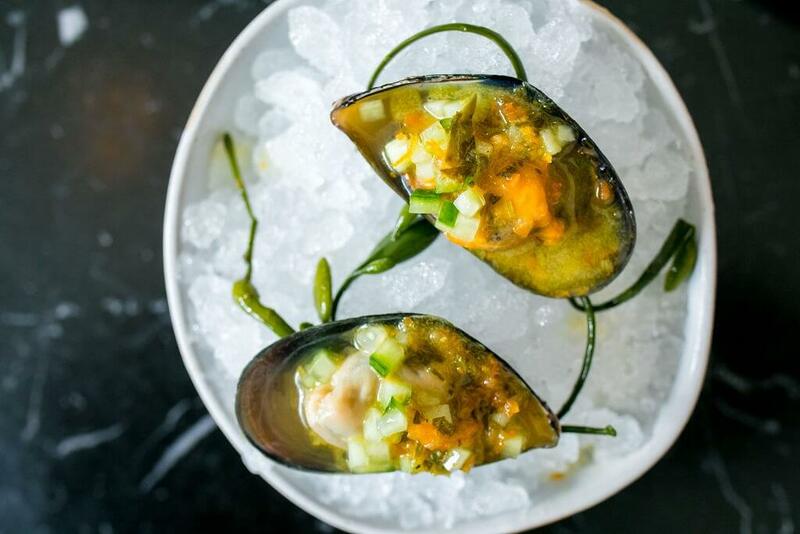 If you’re looking for an ideal place for cocktails or date night, you can’t go wrong with Ayala! 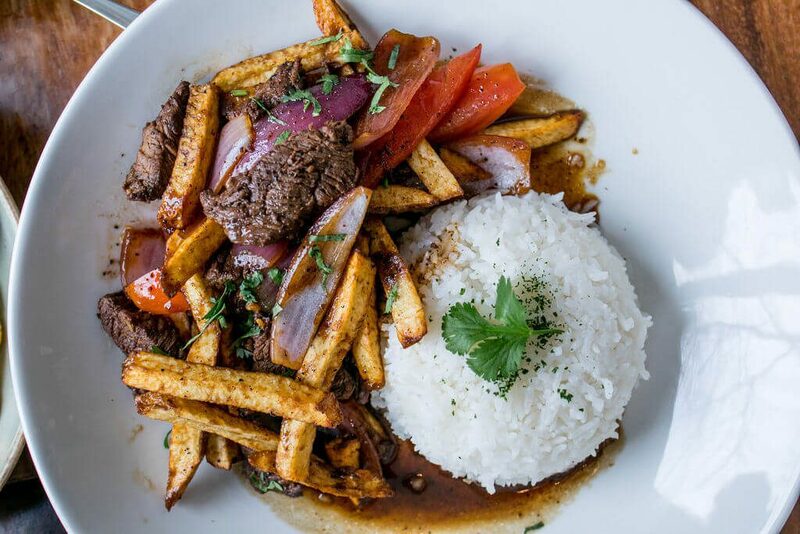 Limon Rotisserie is a modern Peruvian restaurant you’ll want to dine with a group of people. 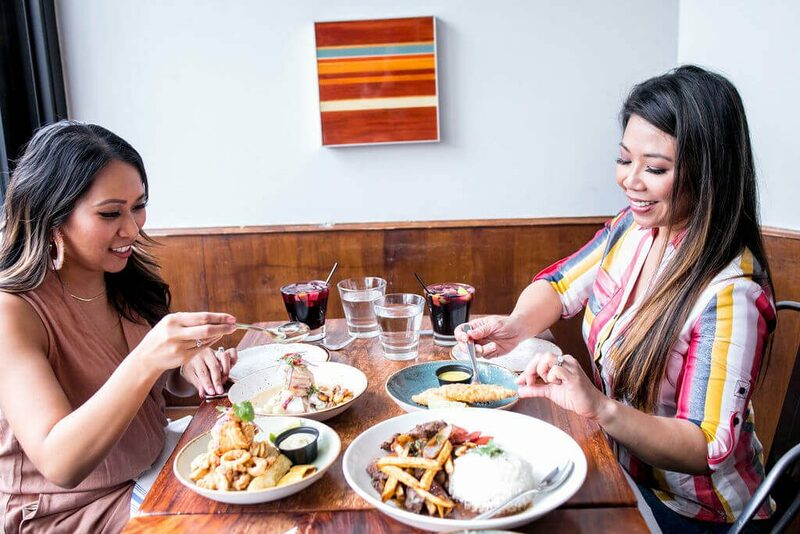 It’s the type of place you’ll want to share family-style where you get to sample all the delicious meals in only a few bites and remain happy and content. 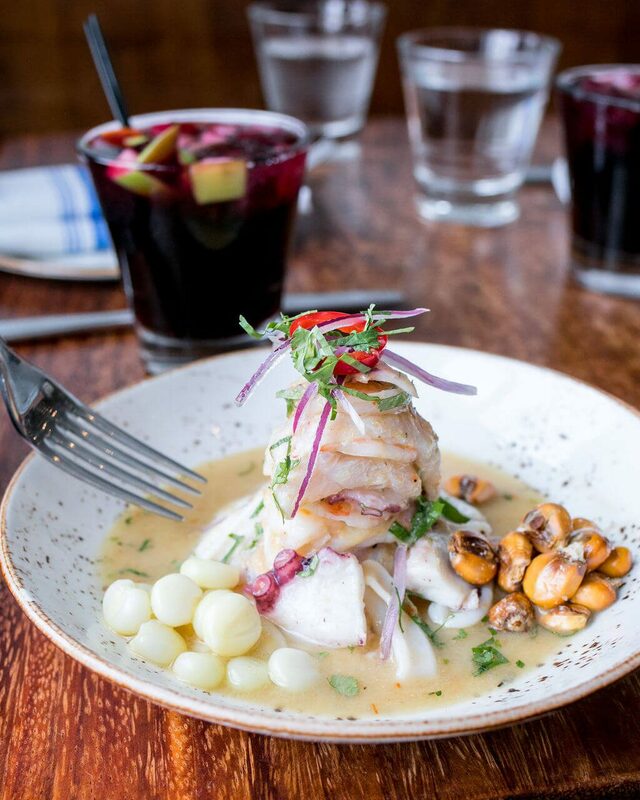 We also enjoyed the fresh ceviche – it was perfectly marinated and seasoned just right (for those who are sensitive to spice, this has a little bit of a kick). 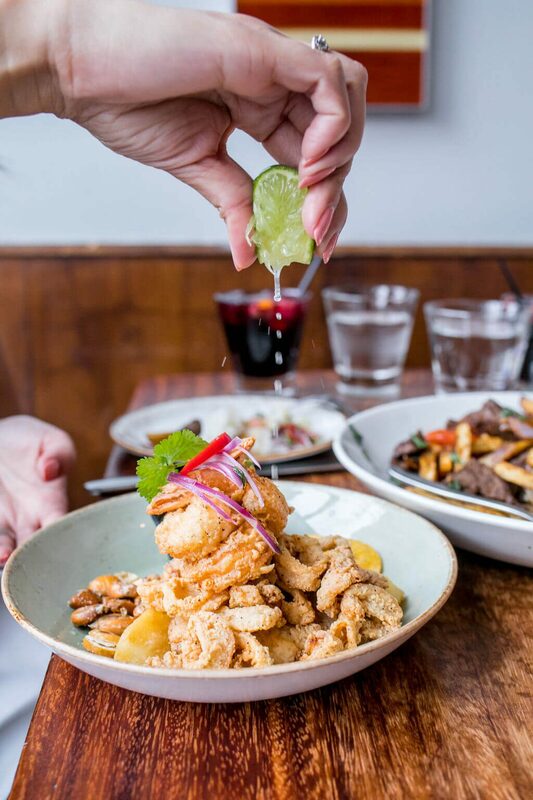 Jalea is a mix of lightly battered and crispy seafood served with yuca fries and tartar sauce. The chicken empanadas are made of their famous rotisserie chicken and so tasty! Just don’t come here for a business lunch meeting. This place gets pretty loud and would make it difficult to have a meaningful conversation. Other than that, the food is authentically delicious and definitely a place to visit next time you’re in the City. 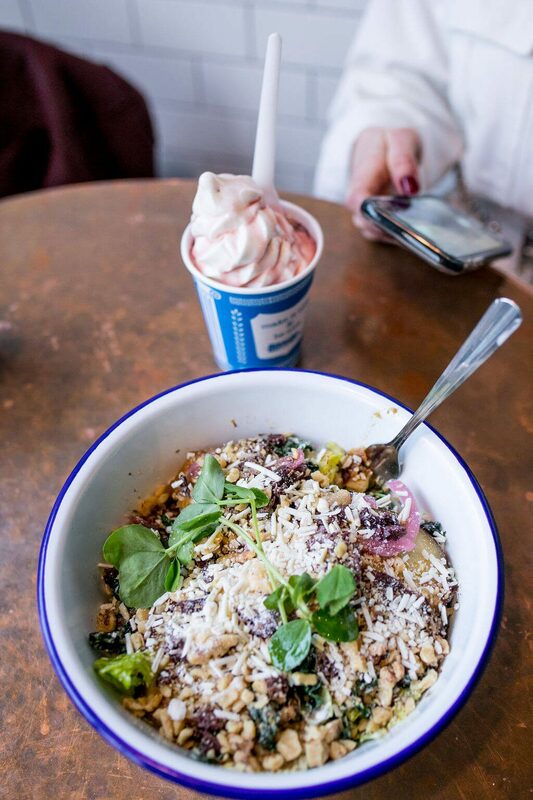 This Greek fast-casual restaurant is busy and crowded for a good reason! The food at Souvla is fresh and flavorful, the portions are generous, and the service is quick! Choose either a wrap or salad with your choice of protein: lamb, chicken, pork, or vegetables. 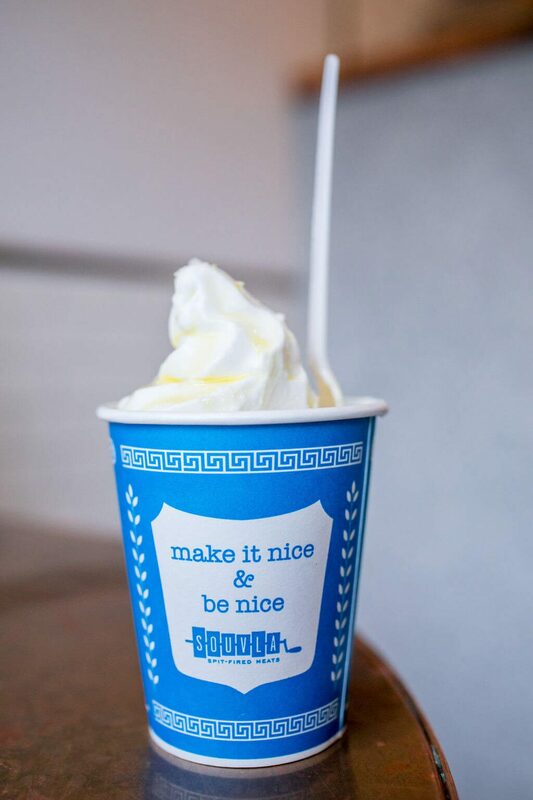 For sides, they have Greek fries, soup, and a side salad. I must agree with Alyson; their frozen yogurt with baklava and honey syrup was just the perfect dessert and a great way to end the day! The sweetness of the baklava countered with the tanginess of the yogurt just worked well together! A must try after a meal!